What was more alarming was that 33 of these victims were in the 0-14 age group. The emergence of health problems coincides with intense spraying of endosulfan that started 14 years ago. The survey was prompted by protests that followed a pro-endosulfan statement made by Union minister of state for agriculture, K V Thomas (see ‘Relief for Endosulfan Victims’, Down To Earth, December 15 ). District medical officer Rose Thomas said it was a quick survey, not a scientific study. 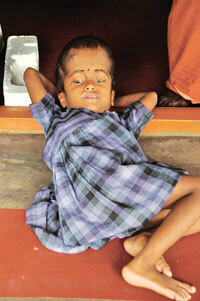 I what to know about the victims of endosulfan outside Kerala. Kerala was hardly using 2% of he total being used in other parts of India than how come it got impacted so severely, while there is no such cases found anywhere in India or other parts the world? All people (those who must know) know that this pesticide is harmful to all forms of life, especially humanbeings. A lot of studies were done around the world related to this matter and it is very clear that endosulfan is very danngerous evenif it use in small quantities for long time...Still our governments are thinking of developing some higher body to investigate the matter and study about it...what a nonsense!!!!!! It must BAN (not verbally, but action) as soon as possible in order to save our earth ,our brothers and our fuuture generation from this deadly situation. Farmers too know about the problems of the pesticide now. However, though they do not want to use them, they do not find confidence on the available alternative pest control methods. The need is the Governments should spend more on propagating these methods through its extension agencies. There are humpty number of alternatives available in every agri. university. ICAR too had its share. But there is nobody to lobby them with the agri. dept. The pesticide is a known carcinogen, neurotoxin and genotoxin (damages DNA); the Insecticides Act of 1968 recommends restricted use of endosulfan. The Stockholm Convention, a global treaty to protect human health and environment from such chemical compounds, has declared endosulfan a persistent organic pollutant and 73 countries have banned its use. A handful of countries like India, China and Israel, however, oppose its ban (see Ã”Ã‡Ã¿India still in endosulfan denialÃ”Ã‡Ã–, Down To Earth, November 15, 2010). The Kerala government has been pressing the Centre to impose a country- wide ban on the pesticide. A petition can be prepared for online signatures and sent to the PM. 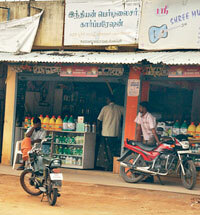 Endosulfan is a cheap pesticide costing Rs. 220 per liter against imidachloprid (its substitute) which costs Rs. 2000 per litre. The EU recommends that the farmers in India should substitute Endosulfan with imidachloprid or others like thiamethoxam (Rs. 3200 per litre) or coregen (Rs. 700 per litre). Imidachloprid is an EU patent pesticide. It goes to show that if Endosulfan gets banned, it’s going to have a deep irreversible impact on the Indian economy as a poor farmer will not be able to afford the expensive substitutes to Endosulfan. I agree with Ritika's reply. I agree with Ritika's reply. Except kerala nowhere in India where major consumption of agrochemicals have been reported? How is it possible. What is the agriculture land being used for cotton and other crops which consumes more agro chemicals in Kerala? By the way Endosulfan is not only a cheaper insecticides, but a versatile broad spectrum which any farmer whether small or big can use safely at the recommended doses for their crop protection. Please let us see the economy of the farming community in India. Do not recommend or go for EU patented molecules which are specific to insects, thus making farmers to become more poor. For example take the story of BT crops now in India, how it has spoiled the economy and farmers cannot able to use their own variety.They are depend on MNCs who are charging heavily for their seeds. It is really mere gimmicks of putting all blames on one chemical insecticide ENDOSULFAN. I am not saying pesticides are good, but use at recommended dose with recommended equipments which will be better than putting all blames to the versatile insecticide like Endosulfan which is known in India for past 60 years . Where as new chemicals introduced by the EU MNCs are going out of market very early, thus shows how Endosulfan is versatile and having faith by millions of farmers in India as well as in other countries. Ã”Ã‡Ã³ US: The National Poison Telecommunications Network (NPTN) ranked endosulfan 65th on their list of the top 200 active ingredients for which calls were received from 1984 through 1991, with 53 incidents reported in humans. The EPA Ecological Incident Information System (EIIS) has recorded 91 ecological incidents since 1971 that have been attributed to endosulfan with 96% of these regarding adverse effects to the aquatic environment. The National Oceanic and Atmospheric AgencyÃ”Ã‡Ã–s fish-kill database indicated that endosulfan was responsible for more fish kills in U.S. estuaries and coastal rivers between 1980 and 1989 than all other currently used pesticides at that time. An incident regarding endosulfan runoff from cotton fields killed over 240,000 fish in Alabama in 1995, despite the pesticide reportedly having been applied according to label instructions. Ã”Ã‡Ã³ Benin: In Borgou province, endosulfan poisoning caused many deaths during the 1999/2000 cotton season. Official records state that at least 37 people died and a further 36 became seriously ill, although an independent report estimated that nearly 70 people actually lost their lives. Furthermore, farmers in Benin have observed birds and frogs dying following consumption of insects sprayed with endosulfan. Ã”Ã‡Ã³ Indonesia: Endosulfan was the leading cause of pesticide poisoning between 1990 and 1993, with 32 of 153 reported poisoning cases due to endosulfan. can any body, please brief about the official stand of GoI on ENDOSULFAN? Endosulfan is highly poisonous causing reproductive and developmental damage in both animals and humans,it has well proved and nearly 63 countries banned this chemical.India,world's largest user of endosulfan still need studies?? ?what it means?Govt need more victims to prove?we need quick action not discussions and arguments. So can you please tel me out of those 60 countries how many are agrarian economies? FYI, Major agrarian economies which have been using Endosulfan on a large scale like In India, China, Argentina stil continue to use it and are completely against the ban. As far as the victims of endosulfan goes, there are no scientific proofs to show that the victims are suffering due to the exposure to Endosulfan. Even if we consider the fact that people are suffering due to this pesticide, why do you think there are no reports of any endosulfan workers suffering from any kind of ailments? Infact if you are well-read about this issue, Mr. K. Achutan has openly mentioned that Endosulfan is not to be blamed for disease caused to people in Kasargod, Kerala. India has traditionally been a dumping ground and its people have been treated like guinea pigs. Who is responsible? Clearly, the government who has focussed always on profits of only a few. Do we not have any method to check whether endosulfan spray has been recently done on orchards or not in the absence of any machinery to check the inflow from adjoining states? If it is proved, the culprits should be dealt with seriously thus sending a clear message to others who use this banned substance in Kerala. Afterall, it infringes our fundamental right to life. After reading all comments and some knowledge that I have, I can say endosulfan is certainly causing serious health problems for years (not reported or highly under-reported) but on the other hand, it cannot be replaced by costly other pesticides sponsored by GOI under outside pressures or otherwise. Why cannot we develop pesticides which suit our specific needs without comparing with China or Argentina which are VERY different from us in agricultural practices, and which do not affect the poor farmers economically? The impact of endosulfan is not just in Kerala's Kasaragod district- the impact is evident in Dakshin Kanada, a district in Karnataka, as well which had a regular aerial spray of endosulfan on its cashew plantation for nearly 20 years. It has identical cases to that of Kasaragod. And it should be understood that a region which has been aerially sprayed with one chemical for nearly 20 years is bound to have severe health impacts- Endosulfan is a neurotoxin and genotoxin so the impact is likely to be seen over generations- since it can tweak the genes of the parents to impact the next generations. Kerala's Kasaragod has been in focus due to the awareness and the initiative of few doctors and journalists- an initiativemissing in other states sadly. Excessive use of pesticide has also taken its toll on Punjab, the hub of green revolution. The cotton belt is also known as the cancer belt. Its time to think away from chemical pesticides. Instead of blaming everything on the foreign powers like European Union for promoting EU patented pesticides: , lets see within because the solution lies in Kerala's neighbouring Andhra Pradesh. AP has successfully adopted the Non Pesticide Management technique of farming, using biocontrol measures, and is doing very well- it has expanded from 400 acres in 2004-05 to 25 lakh acres in 2010-2011. This is an example for the other states to move out of the chemical trap. For instance, cashew trees in Andhra Pradesh, attacked by the Tea Mosquito bug are successfully being treated with neem cakes mixed with neem oil. So farmers will not have to be dependent on any chemical pesticides-Indian or Foreign. 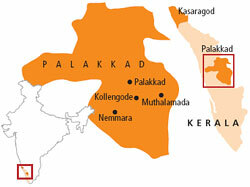 In 2000, after a sustained anti-endosulfan campaign, the state government banned the pesticide. But the issue stayed alive and images of the Ã”Ã‡Ã¿pesticide victimsÃ”Ã‡Ã– from Kasargod villages filled the public debate in the state. Recently, Union Minister of State for Agriculture and the CongressÃ”Ã‡Ã–s MP from Kochi, K V Thomas, reignited that debate when he said there was no proof to hold the pesticide guilty for the health hazards in Kasargod. .. It is untrue that endosulfan is irreplaceable. The pesticide manufacturers are turning to patriotism, talking about th poor Indian farmer who will have to turn to costly alternatives of endosulfan that is being pushed by the European Union. The endosulfan manufacturers are concerned that they will lose a huge business- to the tune of $100 million- but they have masked their economic concerns with the 'poor Indian farmer' who will fall into the debt trap since they have to buy endosulfan alternatives that are ten times costlier. But chemical lobby being what it is cannot think of anything beyond chemicals. What they refuse to see are the non chemical alternatives. For instance the Non Pesticide Management (NPM) programme in Andhra Pradesh where chemical pesticides are replaced with home-made and very effective formulations. These are very cost-effective as well- earlier a cotton farmer spent anything between Rs 800 to Rs 1000 on endosulfan on an acre of land, in the growing season ie usually 4-5 months (rabi season); under the NPM method the expenditure on its replacement, buttermilk extract and neem extracts, is between Rs 120 to Rs 150 per acre per growing season. NPM has a mass following today- what started on 400 acres area in 2004 is being practised in 25 lakh acres (about 12.5 % the total cultivable area). The pesticide manufacturers are talking about farmer's debt trap, why not get the farmers out of the chemical trap itself... Give NPM a shot and Honeybees will be taken care of. The people of Kerala are being taken for a media ride again, as with the Manchium, goat farms swindles, and the false rosy publicity about the Smart City and other cities. Disaster happened in Kasargode only because the Plantation Corporation owned by the government, kept on spraying the pesticide indiscriminately from the sky from helicopters, for decades together. Why they did so is clear; they acted at the behest of the helicopter leasers. PEOPLE WILL SUFFER IF IT IS MERE TALCUM POWDER THAT YOU SPRAY DOWN DAY IN DAY OUT FROM THE SKIES; NOT TO SPEAK OF PESTICIDES. The pesticide is produced mostly by the public sector HIL and not by any private company alone. Some private interests are trying to dislodge this PSU from the field. For once, Pawar is being fair! The media, politicians and the paid intellectuals are all acting under vicious influence. That the power to ban a pesticide is within the State government's jurisdiction from 2006, is very pertinent; and calls the lie on the LDF. The unpleasant truth has to be told! NEVERTHELESS, ALL CHEMICAL FERTILISERS ARE TO BE SHUNNED. I DO AGREE WITH YOUR POINT, OUR MEDIA SHOULD BRING EVERYTHING WHAT IS HAPPENING IN OTHER STATES. THEY ARE FOCUSING SOME VICTIMS IN KASAR CODE AND PALGHAT, WHO OWN BIG PLANTATION BY BIG PERSONALITIES. Whatever be the cases, why didnt anyone do the 'Scientific study' to prove endosulfan is not harmless? Why do we need to wait until studies to Ban it? There is always an alternative- BAN it first and then study! If it can be proved as harmless, the ban can be lifted any time! If this happens, the study can be easily funded by 'Endosulfan Producers', who are so eager to prove its harmlessness. Even the 4th largest producer - Argentina - Supported the ban. Why? Every single country among the 81 countries which banned this pesticide have opted to choose a more harmful, more costly chemical instead of the 'safest' endosulfan? WTH! There should be atleast some logic in the arguments! And I would have believed every crap which was written in whybanendosulfan.org, unless they haven't written that "Endosulfan is not an endocrine disrupter". WTF? Then how could it kill pests? Even the name of the chemical coame from its property - endocrine disruption! Is there any district-wise data about the disease conditions attributed to endosulfan like cryptorchidism,delayed puberty,infertility,hydrocephalus etc.? What is the situation in China? Why China stands against endosulfan ban? Is there any vested interest?